Insects tend to always find a way to creep up on us, eat our leftovers, damage our homes or just completely scare us half to death. While there are many insects that fit this description, carpenter ants hold a different category all to themselves. Carpenter ants, scientifically known as Camponotus, are relatively large ants that build nests for their colonies and live in wood or trees. When outdoors, these little creatures cause little to no harm, but once on the inside of a house, they search for anything sweet and savoury to take back to their colony.Carpenter ants take different forms; all black, black head, rusty red thorax to even being winged, and while some are more rarely seen than others, they tend to cause the same problems. These pests are also considered to be the most destructive reoccurring ants many have ever seen, resulting in having to call exterminators to get rid of them for good. 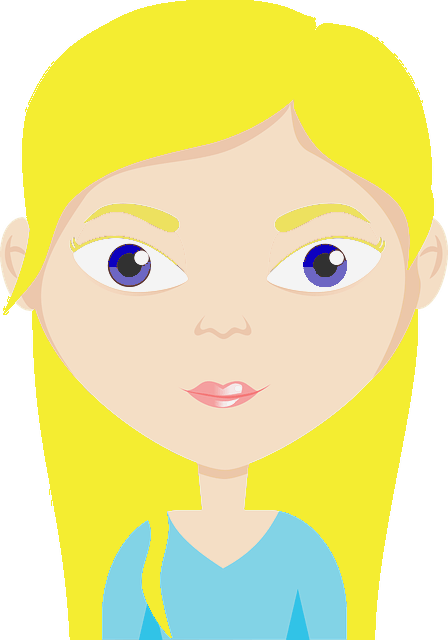 Why use home remedies instead of store bought chemicals? Many store bought carpenter ant repellents contain toxic chemicals that can be harmful to both you and your home, not to mention its impact on the environment. When these chemicals are inhaled by humans, they cause respiratory disorders over time. Homemade remedies are safe to be used in and around every home, as they contain all natural and organic substances that are non toxic to you, your family, pets or the environment. 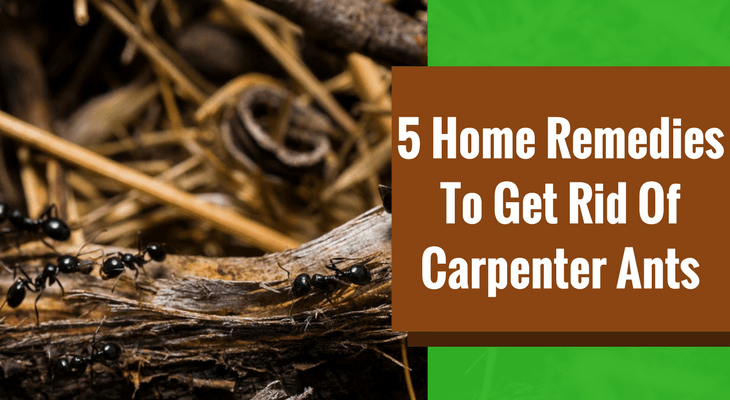 Want a natural home remedy to get rid of carpenter ants for good? Here are 5 sure ways to keep those troublesome insects out, using these homemade carpenter ant killers. 1. Diatomaceous Earth (Food Grade) - This 100% natural and organic, silica-rich mineral powder has been touted worldwide as the best natural way to get rid of carpenter ants. This deadly powder for insects is made up of the remains of microscopic algae found in the sea, called diatoms. This explains how Diatomaceous Earth got its name. Diatomaceous Earth is easily attainable and can be found at organic gardening suppliers or health food stores.Using this powder as a natural way to get rid of carpenter ants is simple once you have found the colony/nest where these ants reside. Simply use a medicine dropper or another instrument to inject the nest/colony with the Diatomaceous Earth, or spray the nest/colony with the powder. This powder can also be used to kill these carpenter ants on spot. 2. Boric Acid - This odorless white solid powder is popularly known for its antifungal, antibacterial and antiviral properties. While the name sounds similar to that of a toxic insecticide, boric acid is completely safe to be used as a solution to get rid of carpenter ants in the home. It is even used in day to day products such as toothpaste and mouthwash. To use boric acid as a homemade remedy for carpenter ants, simply mix 1/2 a cup of sugar with 3 tablespoons of boric acid, and sprinkle around problem areas in your home. Because of the sweetness of the sugar, the ants will be drawn to this mixture, but the toxicity of the boric acid will kill them naturally. If sprinkled around the home, the carpenter ants will ingest the boric acid while it attaches to parts of their body, and most likely, return to the colony with particles for their fellow counterparts. This helps to eradicate the entire carpenter ant nest from inside out., and proves to be an excellent homemade remedy for carpenter ants. 3. Cedar/Cedarwood Essential Oil - This natural deodorizer dates back to Biblical days, containing properties that not only improve the digestive system and skin, but can also be used as an effective remedy to get rid of carpenter ants in the home. Cedar Oil is extracted from cedar trees by way of steam distillation, and a few drops placed on problem areas or openings around your home will surely be an effective homemade remedy for carpenter ants. Another method of using cedar oil to kill carpenter ants is to mix a few drops of this potent essential oil with a carrier oil, (something light such as avocado/olive oil) and create a repellant spray. When the carpenter ants encounter the cedar oil spray, they will die instantly by suffocation, which over time will rid your home of these insects. An added benefit of using cedar oil is that it naturally contains properties that have a relaxing and soothing effect on the mind. Because of this it has also been touted as an effective sedative, used by persons who suffer from sleeping disorders such as insomnia. 4. White Vinegar - This may be the most convenient remedy yet, as vinegar is normally a staple product in a majority of homes. This well known household cleaner and cooking staple has a 5% acidity ratio, which makes it an effective home remedy for carpenter ants in the home. Because of its acidity, carpenter ants can't stand its toxic smell, which will make them keep their distance, but a solution of white vinegar sprayed into a nest of carpenter ants will be sure to eradicate them.To make this solution, mix equal amounts of water and white vinegar in a spray bottle, and add a few drops of an essential oil of your choice. Spray this mixture in and around the homes, especially where ants enter. 5. Liquid Dish Soap - This solution is also another very simple but highly effective and convenient method of ridding your home of carpenter ants. While most liquid dish soaps will do the trick, pure liquid castile soap that doesn't contain additives would be the best version to use. To make this solution, mix 2 parts water and 1 part liquid dish soap in a spray bottle with baking soda. This mixture completely suffocates the ants, resulting in a highly effective homemade remedy for carpenter ants. Ready to get rid of those pesky little carpenter ants that are appearing out of nowhere? These remedies are sure to be effective in removing them for good. But if you need a little encouragement, take a look at this video to get you started. seen som flying around. Will this solution work? I have a little puppy very active.